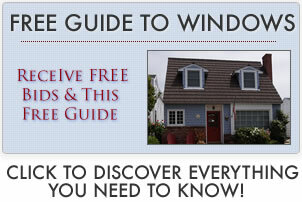 Since the 1600s, Colonial windows have been featured on many homes in the U.S. Most of the characteristics of Colonial style windows come from practical considerations. Small panes, shutters, and regular spacing are some of what makes these recognizable as a Colonial feature. The features that define Colonial windows served a purpose in their day. Small panes, wide trim, and fitted shutters were important functional features of the home. Colonial style homes today keep those design elements to set them apart from other styles. In the 1600s, glass was very expensive. Shipping without breakage was difficult, as glass had to be transported over rough roads and sometimes over the ocean. Smaller panes, often 8-9 inches wide and 10-12 inches tall, could be packed more securely. Many homes didn’t have glass but had oiled paper instead. A Colonial window will have top and bottom window sashes, usually with either 6, 9, or 12 panes on each. The Colonial society was quite strict and regimented compared to today. Modern homes may have varying window styles, sizes, and shapes. Colonial windows never vary. They are evenly spaced and uniform, fitting nicely into the traditional square, boxy shape of a Colonial home. More on single hung windows price. Home construction in the 1600s wasn’t as sophisticated as it is today. Often unskilled laborers and individuals were building their own homes. This, combined with simpler tools and materials, meant that windows didn’t fit snugly into their openings. There was often a noticeable gap between the window and the rough opening. (For more, view the Anatomy Of A Window.) Wide trim provided a uniform look that covered the gaps. The trim made the home look neater and helped to keep out unwelcome pests and inclimate weather. Shutters today are usually decorative. In Colonial times homes didn’t have storm windows and screens. When rough weather threatened, the shutters were closed to protect the very expensive glass from debris. In less settled areas where attack was a possibility, shutters might be used to close the home when threatened. Colonial windows should always have shutters that are sized to cover the window, even when they are fixed and not functional.